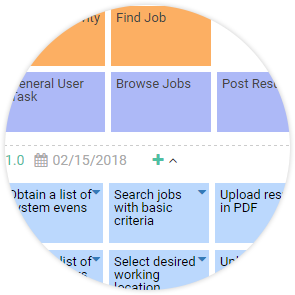 User Story is a technique widely used in agile software projects in capturing and prioritizing software requirements. Card, Conversation and Confirmation, namely the 3C's, are known to be the three critical components of good user stories. 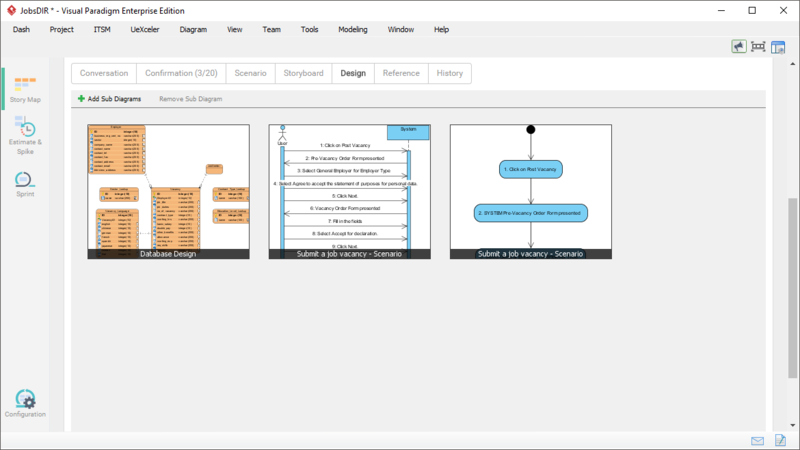 As a professional agile tool, Visual Paradigm features a User Story tool that allows you to write effective user stories following the 3C's guideline. 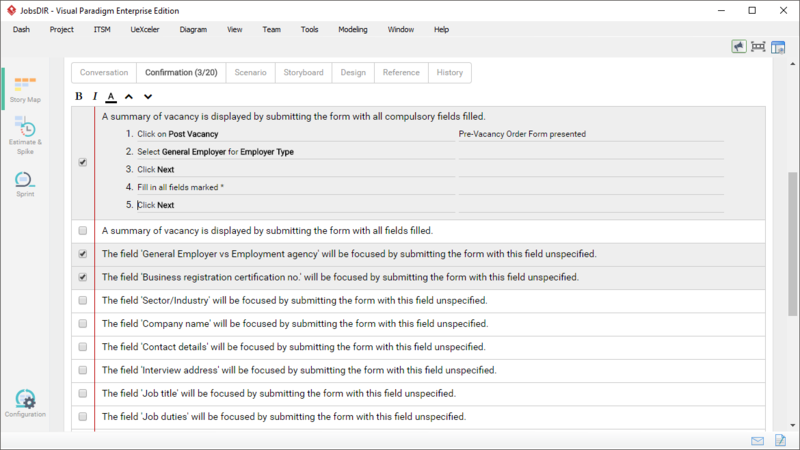 The User story software tool lets you communicate with stakeholders to identify their needs and find solutions. 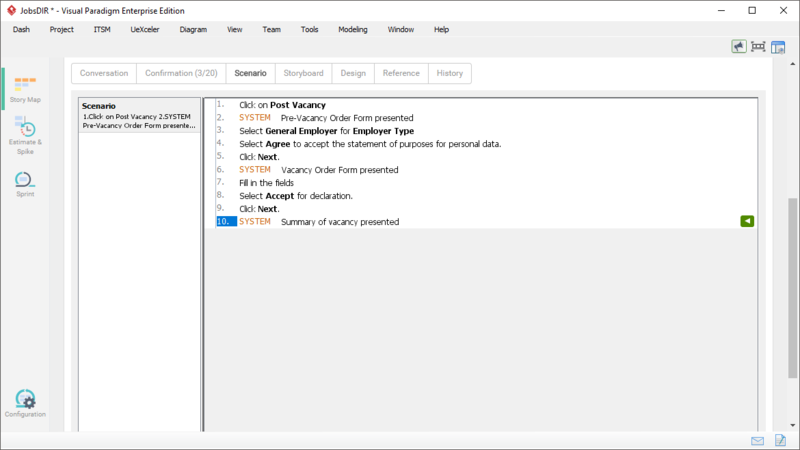 Write down the findings and decisions in the conversation notes editor. Development team can read the notes in knowing stakeholder's needs, which can be very useful in product development. 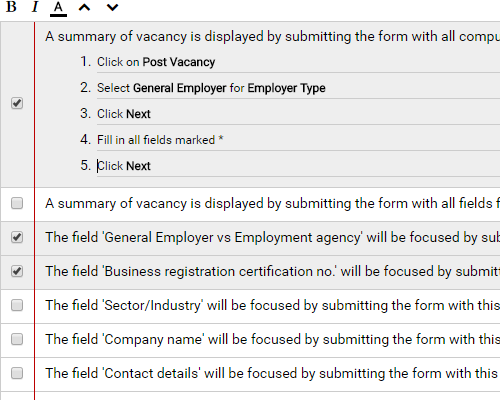 You can detail user stories by including additional information necessary for software development. 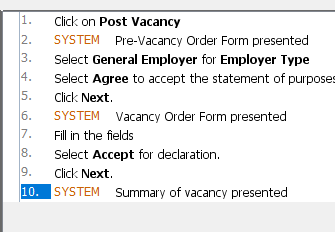 Describe the interactions between user and system as steps. 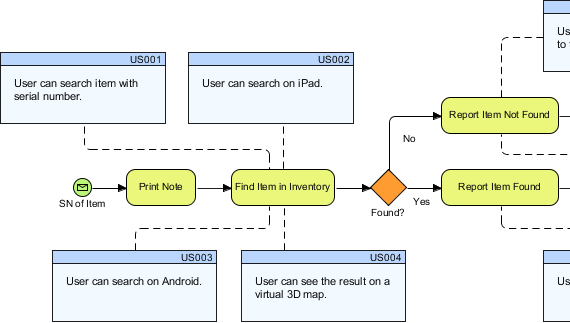 You can use operators like if-then-else and looping, include wireframes for steps and generate sequence diagram and activity diagram from the scenario. 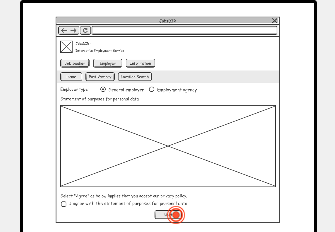 Create screen mock-up by drawing wireframes, let the stakeholders know how things will work out by performing a slideshow, and to confirm that what you are going to build actually meets their needs. Keep the design under user stories, and access them on-the-spot. 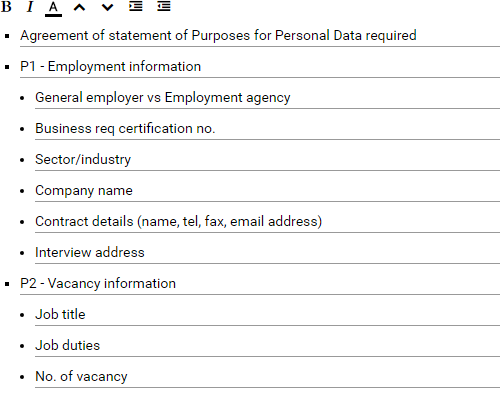 Looking for the ERD? Or the sequence diagram that represents business logic? They are all under the user story that you are working on. 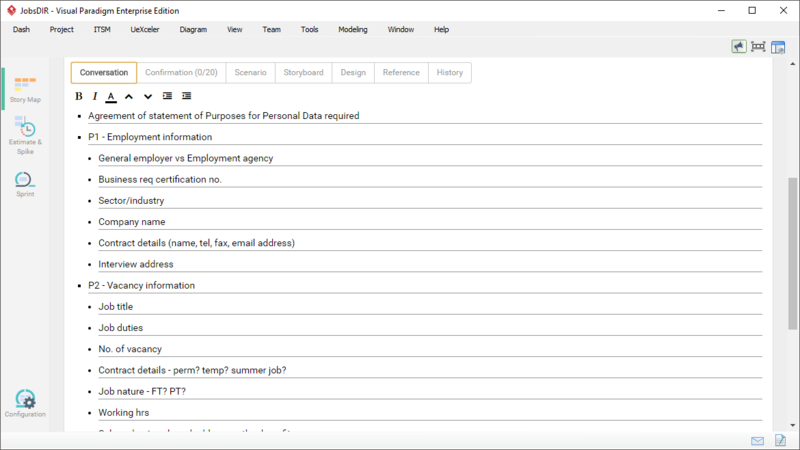 Categorize user stories by tags. 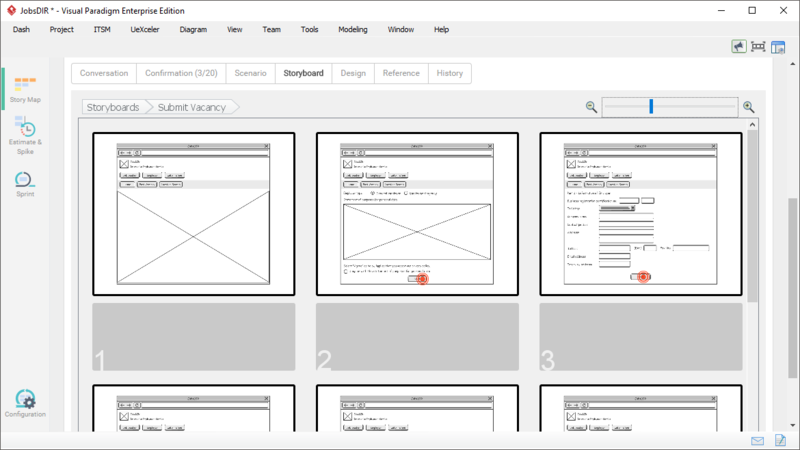 Looking for an agile user story mapping solution? Please check Visual Paradigm Professional or Enterprise. 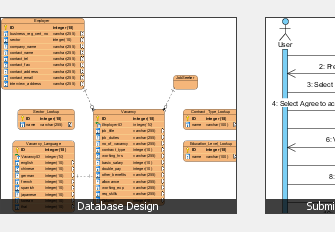 The table below compares the various editions of Visual Paradigm in terms of their support to agile development tools like user story and story mapping.